So the snow is melted and another winter has gone by. 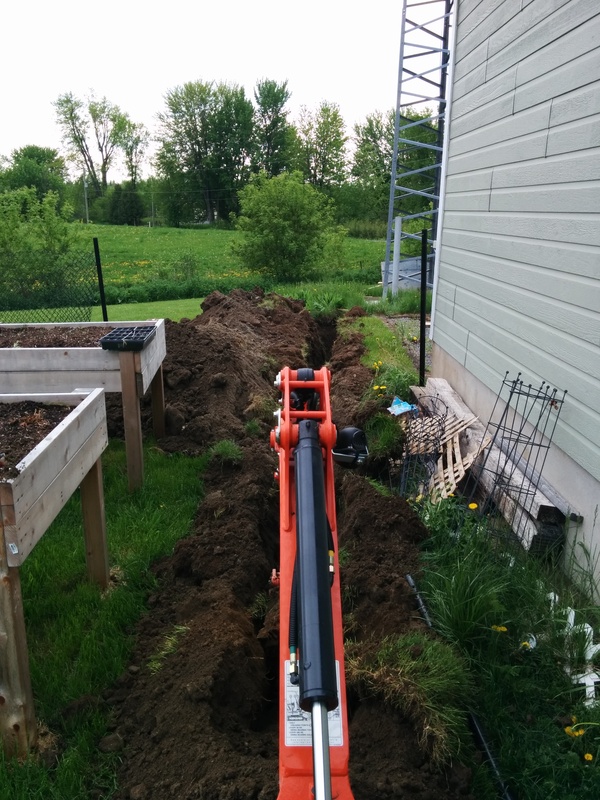 I’ve finally gotten the chance to dig the trench for my conduit. 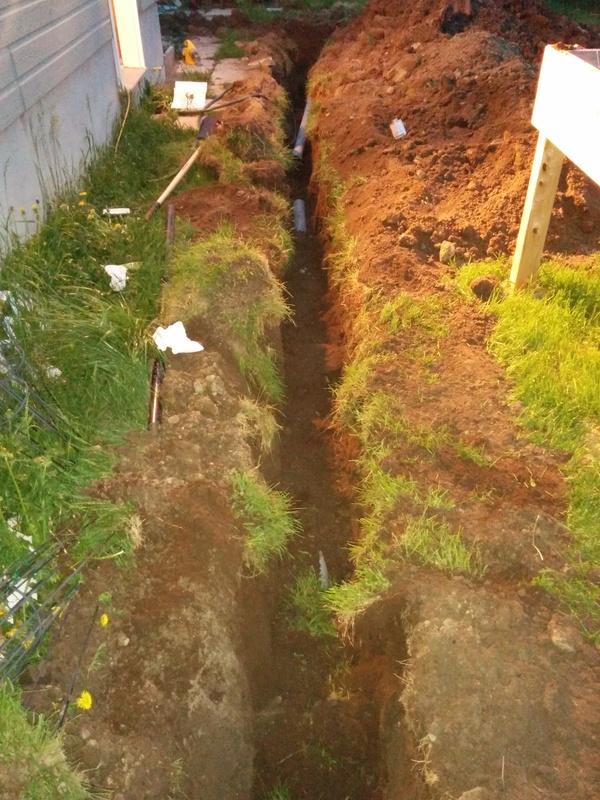 I’m using 4″ IPex PVC conduit used in standard electrical work, I used nice long sweeping elbows to minimize the frustration of pulling coax around a bend. In the future there will be a few repeaters that will be installed on the tower but with the fairly long run of coax into the house from the top of the tower ( About 150′ ) I decided to make a T junction in the conduit and branch off a section to the garage. This will keep the coax run to a little more than 100′ and give me the opportunity to install wiring much easier in the future to the garage. I used an irrigation valve box and some 3/4″ Pressure treated wood to build a great little enclosure. Here is the box I bought. As you can see from the picture the conduit enters the box at the bottom. 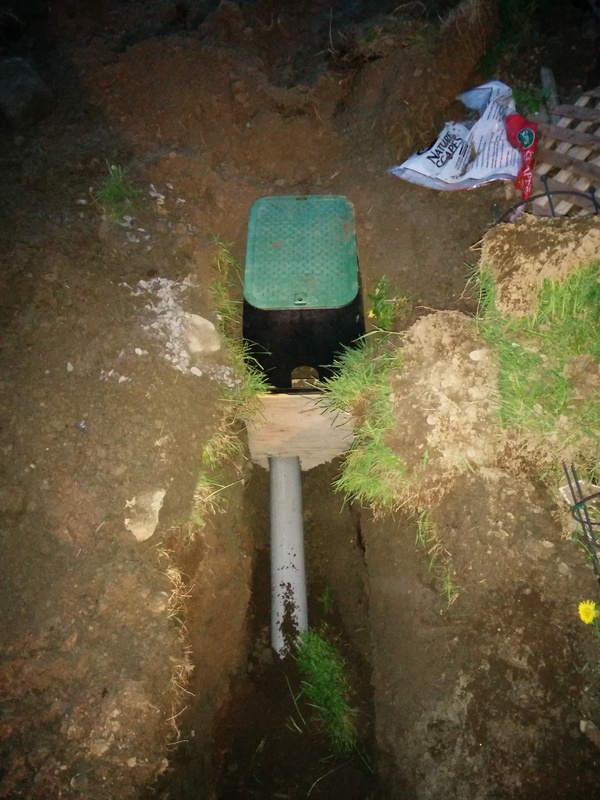 I didnt take any pictures of the inside yet but there is about 3″ of gravel at the bottom where both conduit pieces enter the box to allow for good drainage. 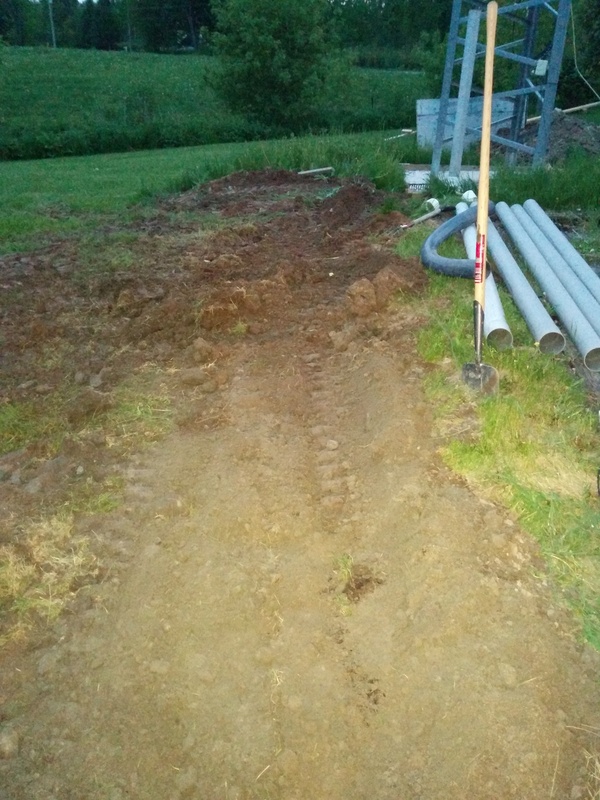 At both ends of the conduit I will be installing weather proof enclosures that will give me enough room to mount lightning arrestors at the tower side and where the conduit will enter the house I will have another enclosure to allow easy access of wires through to the inside. Some more pictures gives you an idea of what it looked like as I was excavating.